Abstract: The reactions of foraminiferal and calcareous nannoplankton assemblages to global warming and cooling events in the time intervals of ca. 27 to 19 Ma and 13.5 to 15 Ma (Oligocene and Miocene) were studied in subtropical epicontinental seas influenced by local tectonic and palaeogeographic events (the Central Paratethys). Regardless of these local events, global climatic processes significantly influenced the palaeoenvironment within the marine basin. Warm intervals are characterized by a stable, humid climate and a high-nutrient regime, due primarily to increased continental input of phytodetritus and also locally due to seasonal upwelling. Coarse clastics deposited in a hyposaline environment characterize the marginal part of the basin. Aridification events causing decreased riverine input and consequent nutrient decreases, characterized cold intervals. Apparent seasonality, as well as catastrophic climatic events, induced stress conditions and the expansion of opportunistic taxa. 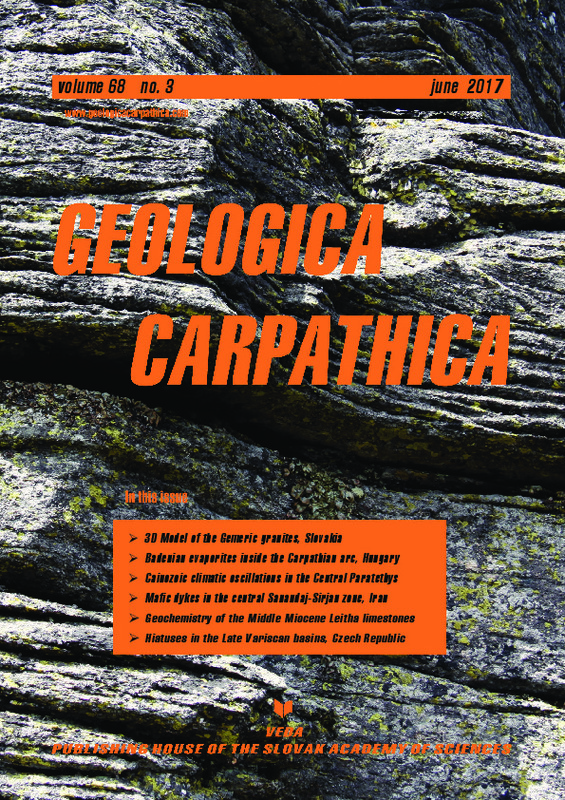 Carbonate production and hypersaline facies characterize the marginal part of the basins. Hypersaline surface water triggered downwelling circulation and mixing of water masses. Decreased abundance or extinction of K-specialists during each cold interval accelerated their speciation in the subsequent warm interval. Local tectonic events led to discordances between local and global sea-level changes (tectonically triggered uplift or subsidence) or to local salt formation (in the rain shadows of newly-created mountains).